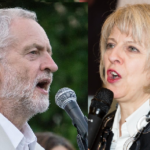 The first poll after the General Election has put Labour ahead by six points, while Theresa May and Jeremy Corbyn were tied on ‘who would make the best prime minister’. Survation, who along with YouGov were one of the closest pollsters to predicting the result, had Labour on 45% (+5), Conservatives on 39% (-3), Lib Dems on 7% (-) with UKIP on 3% (+1). The fieldwork was completed on Saturday. YouGov’s poll on who would make best Prime Minister had May on 39% (-4), with Corbyn also on 39% (+7), with the fieldwork done on Friday and Saturday. Corbyn – having been widely-expected by the commentariat to fall below 200 seats on Thursday – is now in a position of having achieved an astonishing against-all-odds result, and now leading May by six points in the polls – a result that would give Labour a clear majority were there to be another election. 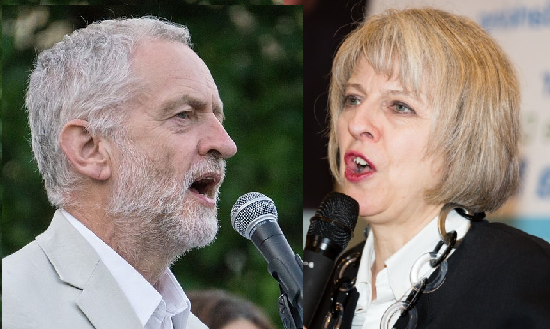 The two major question marks in British politics now, for the short and the medium term, are no longer about Labour’s leadership, or its policies. There are whether Theresa May will cling on, and whether the Tory-DUP deal will last. If May stays, it’s very good news for Labour. She is widely viewed within the Conservative party as unable to win a General Election, and while they might tolerate her leadership at present, they aren’t likely to let her try her hand with the electorate a second time. On Marr on Sunday, George Osborne called May “a dead woman walking”, and clearly enjoyed twisting the knife in, while last night May faced the 1922 committee of backbench Tory MPs, who seem to have allowed her for now, to continue in the role. What would end May’s premiership is a leadership challenge from another Tory MP, which would require 15% of Conservative MPs to write letters expressing a lack of confidence in her leadership to Graham Brady, who is the Chair of the 1922 committee. A secret ballot of Tory MPs would then whittle down the candidates to two – who would then face a vote among the wider membership, who would not back May for a second leadership. It seems her days are numbered. What May has on her side, for now, is that Brexit negotiations are due to begin very shortly, and plunging the UK into another 8 or 10 week leadership contest for Number 10 would be seen as highly irresponsible by the wider electorate. Even if May prevails in the short-term, her government will rest on the votes of the Democratic Unionist Party, a throwback to the Troubles and a party littered with cranks, crackpots and every type of image that May sought to escape with her rebranding of the party. The Tories 317 MPs will join the 10 DUP MPs to form a majority of two, which is in effect a majority of 5 without the 7 Sinn Fein MPs, who remain completely opposed to taking their seats. In order to make this Parliament last the full five years, May needs to secure DUP approval for every bill she seeks to put through the Commons, and even then a rebellion of just six MPs would block the bill. The Tories have already admitted they will have to ‘trim’ (read: scrap) their manifesto, and simply govern to achieve Brexit and little else. Stephen Bush in the New Statesman has written an analysis of the Fixed Term Parliaments Act and how that will strengthen the DUP’s hand. In the past, ‘confidence’ votes meant Queen’s Speeches and money bills. Now, a confidence vote is literally just that – a vote specifying whether the House has confidence in the current government. The DUP can therefore hold up every piece of May’s legislation without actually removing her from office and putting Jeremy Corbyn in. This is likely to have major ramifications on power-sharing in Northern Ireland too. Talks resumed yesterday, brokered by James Brokenshire (no pun intended) and the Irish government, to try to get Michelle O’Neill’s Sinn Fein and Arlene Foster’s DUP to strike a deal. Power-sharing was already against the interests of Sinn Fein, who can, through direct rule, present to their electorate a Westminster government administering cuts to Ireland without any nationalist influence, leading to further support for Sinn Fein MLAs and MPs, and eventually hardening Catholic support for reunification. The fact that a Westminster government is now propped up by the DUP only makes things better for Sinn Fein and harder for parties to reach a deal. When talks fail on June 29th, this will provide another failure of the May government. Her decision to go into coalition with the DUP, itself a product of her unnecessary snap election, will lead to a collapse in power-sharing in Northern Ireland and a return to direct rule. A crisis of her own making. From Labour and Jeremy Corbyn’s perspective, things look very different than they did last week. An extremely weak Tory PM leads a government that will barely be able to secure a parliamentary majority on any issue, will definitely bungle the Brexit negotiations, will almost certainly undermine power-sharing in Northern Ireland, and may not even go the full five years. In waiting will be a growing Labour party, full of confidence, hopefully developing their 2017 manifesto into a full programme of government, and surging even further in the polls. All of which makes the question of who leads the Labour Party, who controls the Labour Party, and who will be selected as our candidates in the next General Election all the more pressing. Posted in: Labour, Nationalism/Unionism, Politics. What has Yvette Cooper ever done to deserve Diane Abbott’s job? The Progress supported Hard Labour right, figures such as Yvette Cooper , Chuka, Benn (AND Starmer) and so on , having had to abandon their cynically pre-planned new leadership challenge in the light of the astonishing Corbyn Election triumph have a new tactic. They have signposted a new “willingness to serve ” (in the top posts only of course, such is their hubris) in the Corbyn Shadow Cabinet. Why ? They still unreservdly hate Corbyn and “Corbynism” with a passion. Their tactical feint is simply to attempt to displace the loyal Shadow Cabinet team who supported Jeremy to his triumph on Thursday, and make him a prisoner of their absolutely unchanged commitment to the neoliberal agenda – from Trident to staying in the neoliberal enforcing strictures of the Single Market, to continuing with “responsible economic policy” (ie, austerity, and no roll-back of NHS and Education privatisation) . That some on the Left have actually “bought” the hilariously insincere supposed profound U turn by the Labour Right, and their organ The Guardian and the wider Guardianista neoliberal class, to become born again “Corbynistas”, is saddening. These politicians and journalists are all “Macronists in waiting” ready to destroy yet another social democratic party by decamping overnight when required to a new concocted party of Big Business funded populist neoliberalism – to recapture the UK political space for continued austerity and neoliberalism generally. The only reason the Labour Right are currently cuddling up to Jeremy in his hours of triumph is the better to stab him in the back when tactically appropriate. Renewed “Party Unity” has to be on Jeremy’s , continuation of Labour’s left Keynsian agenda ” terms, not the blank cheque offering of a chance for the irredentist Labour neoliberal Right to subvert our gains and Left direction. Corbyn must move now to drop support for Trident replacement and he must stick with those who stuck with him.